In its original form, comprised of minerals, it is brittle and fragile. Transparent acrylic plastic, an achievement of modern science, combines the optical characteristics of glass with a flexibility which renders it virtually impervious to damage by impact. Yet in whatever form we encounter it, glass has an enchantment all its own. 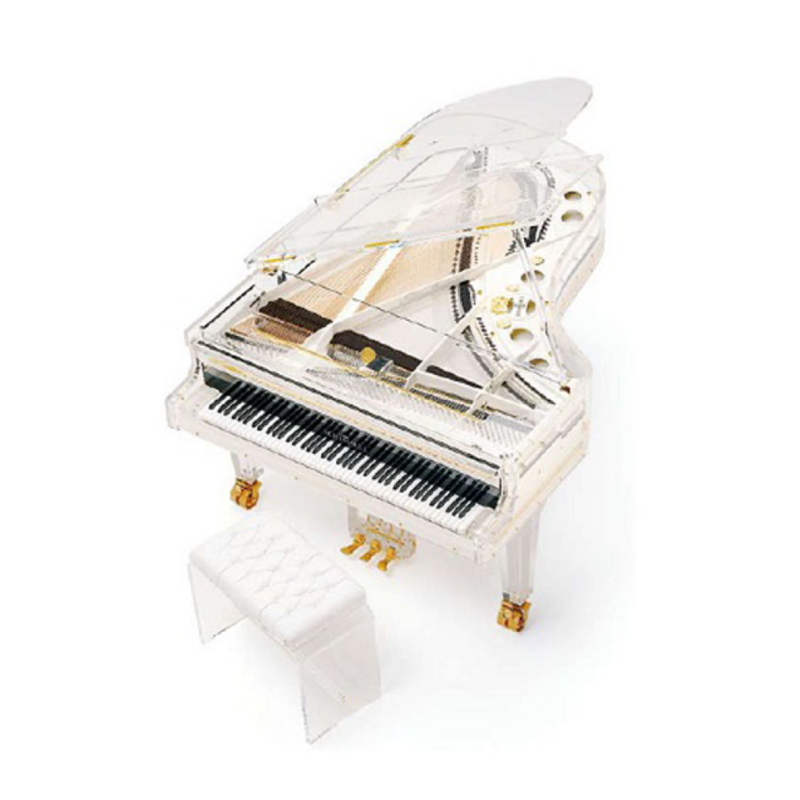 A convincing proof of this is the Schimmel grand K 213 Glas with acrylic plastic cabinetry, created by Nikolaus W. Schimmel. 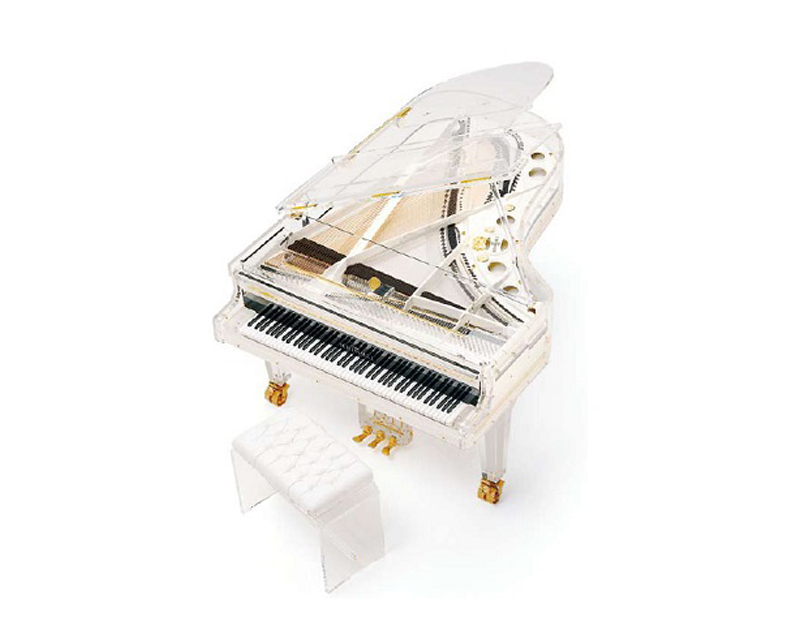 A uniquely fascinating instrument.